This is a fantastic recipe that I have made many times. or if you just feel like baking up a storm, then these are for you! This is exactly the same as making homemade shortcrust pastry. Use your fingertips to rub together the flours, sugar and butter till it resembles breadcrumbs. Use a knife to "cut in" the liquids. Don't put in the full amounts all at once. Go little by little else you risk making the pastry too sticky (mind you, even then the recipe will still work, so don't stress). When the pastry starts coming together to a stage where you can form a ball out of it, it's done. Cover with a cloth or clingwrap, and chill in the fridge for 30-45 minutes. Note: This makes a lot of pastry, so if you prefer the filling to outweigh the amount of pastry in the finished product, then you will need to double the filling recipe amounts below. 1. 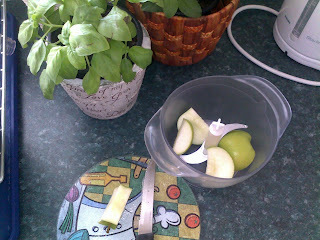 Chop the apples using a mini food processor if you have one available. 2. 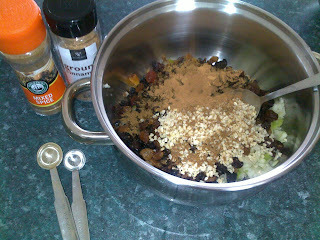 Mix all the ingredients for the filling together in a pan. 3. 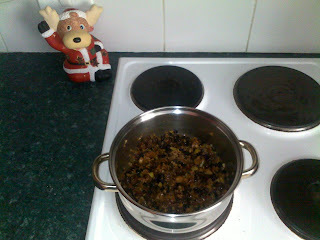 Place on a low heat and stir occasionally till all of the liquid is absorbed. Depending on the consistency of the pastry, you can decide how you want your finished product to look. 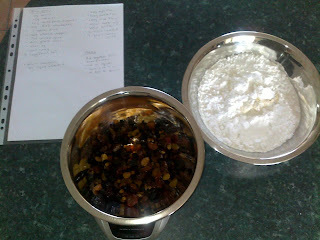 If the dough turned out firm, then you can try rolling out individual rounds to make traditional mince pies. Personally, I find this way too finickey and time-consuming. Therefore, I use buttered baking dishes and using my hands, I flatten a layer of pastry into the bottom of the dish. Then I spread over a layer of filling. 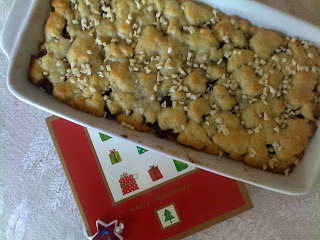 Then I "crumble" pastry over the top. Bake in lower-middle part of the oven at 175 degrees Celsius for 25 minutes (the pastry looks golden with very light browning on the edges). 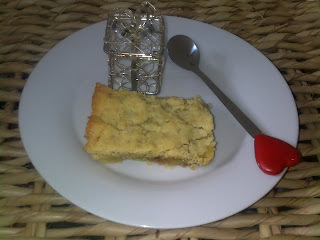 The baked pastry goes crispier once out of the oven (on standing) and tastes like rich shortbread. Wow! Skillfully written and laid out article. Looks as yummy as it tasted :-) Well done. Cool :-) An almond meal based pastry would be SO yummo also! Pecan and pumpkin is such a lovely taste combo, whether sweet or savoury. Happy baking!